Early in the morning on July 15, 2007 the world lost a special little boy. A boy who put happiness, peace and joy into everyone's life who met him or heard of him. Whether it was his angelic face or his genius intellect, people simply gravitated towards him and loved him. Connor Michael Edward Ciesielski was a determined, strong willed, fun loving, energetic and uniquely gifted 7 year old boy. 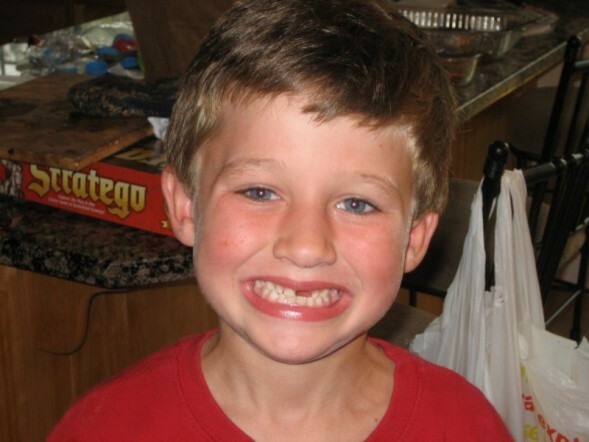 Connor was born to Paul & Lisa Ciesielski on May 4, 2000 and it was THE HAPPIEST DAY OF THEIR LIVES. Around the dinner table and at night before bed we talked about our close family in terms of a "team". Sports are a big part of our lives and we all understood what it was like to play on a team. While Connor was in the hospital this time our Team grew exponentially in size with the welcomed addition of hundreds of caring friends and schoolmates . Your messages, thoughts and prayers were very comforting to Connor. One morning in the hospital we asked Connor if we should give our expanded team a name, he agreed and CONNORS DREAM TEAM was born. 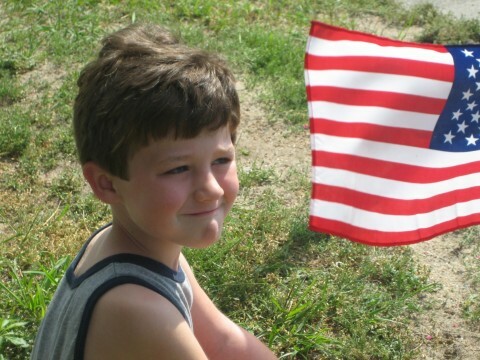 This site is to honor our son and provides a way for you to communicate to us with your thoughts and stories about Connor. 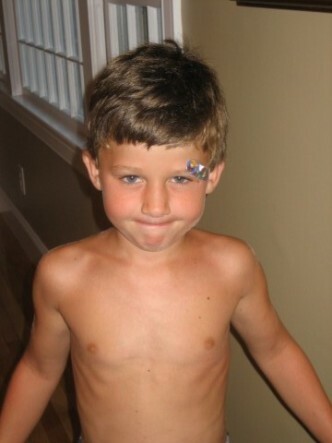 We loved him very much & Connor had a lot of love and caring for a 7 year old boy. Please email it to us and we will post it on the site. Connor age 7, June 2007. Helping Dad plant spring flowers. He loved the Sox!! Connor's Auntie Kristen had the "CONMAN'S DREAM TEAM" t-shirts made for Connor while he was in the ICU to symbolize his team and the union we all shared in supporting him. 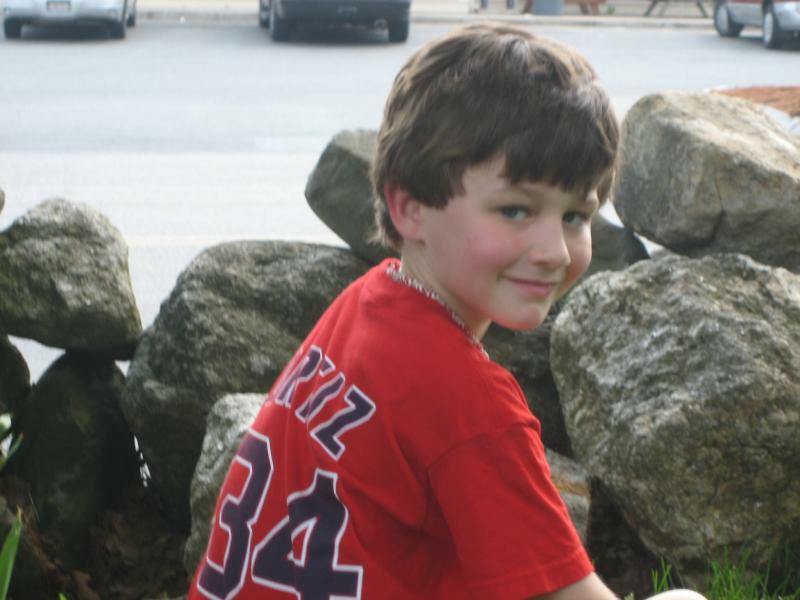 Connor loved to wear his "BELIEVE" and "HOPE" bracelets. Connor's Uncle Mark created the "CONNOR'S DREAM TEAM" bracelets below. They are proudly being worn by Connor's schoolmates, friends and family.